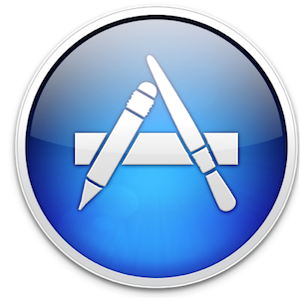 Hardly a week goes by that I don’t find one or more free nifty apps in the Mac App Store. There’s absolutely no easier way to quickly download applications without visiting several web sites. We here at MakeUseOf may well save you the trouble of having to browse the store for the best free offers. And if by now you’re still not familiar with this huge warehouse of Mac gems, check out my latest tips 8 Tips On Getting The Most Out Of The Apple Mac App Store 8 Tips On Getting The Most Out Of The Apple Mac App Store I've been downloading, using, and reviewing Apple software and third-party related software for over ten years, and I have to say that the new Apple Mac App Store is probably one of the most convenient... Read More for getting the most out of shopping there. But don’t spend any money yet, check out my latest 10 findings. I’m sure there will be one or more that you will want to download. A clean desktop helps your Mac run better, and it means files can be more easily found if they are managed properly. Desktopday does one simple thing for your desktop: It takes all the files scattered on your desktop and puts them into a folder. In the Preferences of Desktoday, you specify where you want automatic folders sent to. Folders are labeled by the date and time they were created. I use an AppleScript program that does the same thing, but Desktoday can easily be accessed and run from your Mac’s menu bar. It would be great however if it could be activated by a hot key. I can’t explain why, but there’s something a little odd and interesting about being able run a virtual fireplace on your Mac. For limited time, Gaze HD Fireplaces and More is available for free in the App Store. Gaze HD includes a gallery of 5 HD 1080 fireplaces. Simply select one, set the volume sound, and click the full screen button for a nice ambient effect. This works great for Macs sitting idle in your den, office, or apartment. It’s quite easy to fill up your Mac menu bar with lots of applications, but Spin could be the one you definitely want there. Spin does one simple thing, it streams a selected category of music to your computer for easy uninterrupted listening. If you hear a song you like, Spin provides a link to it on the iTunes Music Store, or you can link to it over the web. If you’re needing to brush up on your typing skills, there are a few online typing tutorials, but now there’s also a typing tutorial program you can download from the App Store. Typist includes various levels of typing exercises, and it shows your typing speed in real time. If you collect DVDs like some people collect books, Media Library Lite may be of use to you. It runs an Amazon.com search of DVD movies and downloads of your selections, including cover art, other pertinent information (e.g. title, date, genre, actors, director) about the DVD. You can also scan, via iSight, the barcode of DVDs for quick reference. Media Library may useful for those of you who want to keep track of DVDs you loan out. I never thought of needing to convert PDF documents into a PowerPoint presentation, but after coming across PDF Converter, I could imagine situations in which these type of conversions might come in handy. PDF Converter Free does exactly what it says it does, and more. It can batch convert up to 50 PDF files at one time, as well “preserve text, hyperlinks, images, layouts, tables columns, graphics,” in the conversion. The paid version offers the ability to convert in other formats. See Saikat’s article, “How to Convert a PDF File to a Word Doc How to Convert a PDF File to a Word Doc With AnyBizSoft PDF to Word Converter How to Convert a PDF File to a Word Doc With AnyBizSoft PDF to Word Converter Read More ” for other options. I’d be the first to admit that there tons of text editors out there, but I have found nearly all of them offer unique features. And when they are free, it doesn’t hurt to give them a try. IText Express is similar to Mac OS X‘s TextEdit, but it offers a few more useful features not found in TextEdit. For longer multipage documents, iText Express allows you bookmark your pages so you can easily and quickly jump to various parts of your document. This text editor is fully compatible with Microsoft Word, and it supports RTF, RTFD, TEXT/DOC/HTML, plain text, and other format files. You can even read download e-pub public domain eBooks in iText Express. Compositions is a clean, quick word processing program that has one unique feature. You can use it to take snapshots of the drafts you’re writing for a project. This means you don’t have to worry about losing your thoughts from draft to draft. You can use Compositions independently on your Mac, or you can sync it with its .99 cents iOS mobile application counterpart. If you need a clipboard manager on your Mac, the popular Clipboard History is still being offered, for a limited time, for free download. Clipboard History collects all the text and images you copy to your computers clipboard. This means you’re not stuck with copying and pasting one item at a time. You can copy say ten items in a row, and then paste them back in the order you want using Clipboard History— a feature long overdue in Mac OS X. One day, Apple will get around to allowing Mac users to access iCal in the menu bar by default. But until then you can easily use Calendar instead. With this app, you can view all your appointments and other scheduled dates without having to launch clunky old iCal. Unfortunately you can’t input appointments using Calendar, but at least it’s there for quick reminders. Well, that’s it for this round of free offerings. I’m sure other dedicated Mac Store users have downloaded apps not listed above. Please share your favorites and most useful findings. It's very good article. I just found the article for more mac apps in http://www.mebaze.com. Thanks scoles, for adding Mactracker to the list. I have an article review coming out soon about program. It should be published next week i think. Thanks for letting us know about Enolsoft. I’ll check it out. Desktoptoday and Clipboard History seem like home runs to me, I'm constantly in need of "more" when it comes to these two areas of my MAC. Most definitely, John, I agree. Thanks for the feedback.